Keto Fridge and The Good Kitchen are designed to take the stress out of meal planning and this Keto Fridge VS The Good Kitchen comparison is designed to make it much easier to choose between them. Get a comprehensive overview of these companies’ crucial features and scroll down to discover the definite winner of the comparison. The Good Kitchen offers healthy meals for the whole family, allows you to freely customize your meal plan, and lets you save cash by ordering meals in bulk. With The Good Kitchen, you can opt for Adult Meals, Kids Meals, and Bulk Boxes, as well as a la carte ordering. 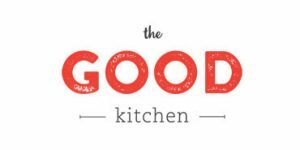 The Good Kitchen provides 10, 14 or 21 meals with its plans for adults, 7, 14 or 21 meals with its plans for kids, 40 meals if you opt for bulk ordering, and 25+ meals on its a la carte menu. The Good Kitchen offers a lovely selection of meals for both kids and adults. Its meals are always 100% clean and gluten-free, there are plenty of low-carb, diet, Paleo-friendly, and vegetarian-friendly items. Kids meals are all colorful, healthier versions of classics like burger sliders and chicken nuggets while the adult menu features a perfect combination of classics and exotics. The Good Kitchen exclusively uses wholesome, natural, non-GMO, and organic ingredients. It uses grass-fed and grass-finished beef, pasture-raised poultry, pork, and lamb, and Seafood-Watch-compliant seafood. Its meals are always free from gluten, soy, and processed sugars. The Good Kitchen meals mostly come in 6 oz. and 12 oz. servings and usually contain between 400 and 750 calories. They are nutritionally balanced but may have a rather high cholesterol content. You can modify, pause or cancel your subscription from The Good Kitchen at any time, just make sure to do it before the date when you are to be charged for your next order. If you are not happy with your order from The Good Kitchen, you can contact the company within 10 days of your delivery and you may either get a credit or refund. This is a terrible company. They state on their website that they offer 100% satisfaction but if the food is awful there are NO refunds. They only offer refunds if there is a food safety problem. The meat is tough and the food is flavorless. I have never been so disappointed in a product. I wasted $100. I'd give you -10 stars if I could. I was very excited to try a service that not only send you the food, but they send it cooked. Meal prepping for work days is a big hassle, so I figured i would give it a shot. I will tell you, you can find better and cheaper meals in the frozen food section at your local grocery store. The food is bland and the meat is typically dry. For the price I thought I was going to have some pretty tasty foods. Really think about it before trying it. It’s not worth the premium price. I have been ordering from this company now for a few months. The portion sizes are perfect for me. The calories are low and the food is clean. The taste is always really good. The nutritional information is posted on the website for each dish before you order in case you're counting calories or looking for something else. I like the variety and I choose the 1 time ordering option so I can order 30 meals at a crack and pop them in the freezer. I take 1 out each day for my lunch at work. A quick microwave and I have a great lunch everyday. Easy to pack to take to work as well. This has helped me with portion control and I look forward to my lunch everyday. Good service and I think the price is well worth the product. I'm going to enjoy the Falafel with Tahini Sauce and Grilled Eggplant at lunchtime today. I'm a busy single working professional, I wanted the facility to have a healthy meal at lunch (work) and late at night when I come home. The meals come refrigerated thus it is convenient, 2-3min is the microwave and you are good to go. The choices are ok, there are a lot of exotic dishes (just an opinion), which means a lot of weird spices, sometimes you just want a good simple piece of protein and some vegetables. They deliver on a Tuesday or Wednesday, for me that wasn't convenient because I required meals during the work week. However, the worst criticism I have to deliver, and why it only got a one star, is the meat quality. I found myself chewing on bits of cartilage (chicken meat ball and Italian sausage) or worst a long piece of fat/intestine in a beef meal, it was very disgusting. Perhaps, to some people that might not be a problem but for the "hand-made" claims they advertise, this appears to be more industrial food preparations. This was a huge disappointment as I was going to continue their subscription, you can choice meals that week (though don't wait until Friday because all the good stuff is gone), packaging is good, easy to use but all that doesn't matter if the meal is uneatable.